All plants can be affected by oedema a condition brought on by overwatering or high humidity. It can be particularly troublesome on cacti, camellias, eucalyptus, fuchsias, pelargonium, succulents and vines. However, there are steps you can take to avoid this issue. Oedema is a disorder of plants caused by the roots taking up more water than the leaves can transpire. This excess water ruptures the cells, particularly on the undersides, and leads to water-soaked patches that turn corky and unsightly. Once oedema has occurred, affected leaves should not be picked off as this will make the condition worse. Instead, improve conditions (see below) both in the air and soil to encourage healthy new growth to develop. For conservatory or glasshouse plants, maintain adequate ventilation especially in hot, sunny weather to allow the air to circulate. Make sure you water the plants carefully and do not allow the plants to completely dry out or become waterlogged. Both will impair the roots ability to function well. If container plants show signs of oedema, check the compost is free-draining. If plants are too wet, repotting with fresh compost is advisable. Plants frequently affected include: cacti, echeveria and the semi-succulent Peperomia spp., some greenhouse fruit, orchids and pelargonium (greenhouse geraniums). If outdoor plants such as camellias or eucalyptus show signs of oedema, check the soil condition for waterlogging and flooding, particularly following heavy rain. 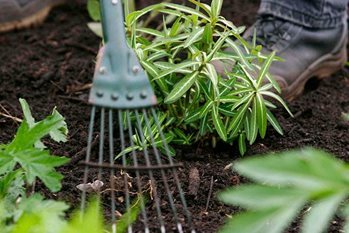 Improve soil texture by incorporating organic matter such as leaf mould or well-rotted manure and do not plant on clay soil when very wet. For plants growing in permanent containers, decrease watering and try to improve drainage by using pot feet or repotting, if necessary.